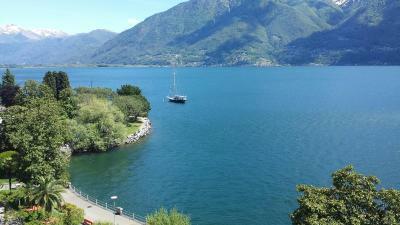 Lock in a great price for H4 Hotel Arcadia Locarno – rated 8.7 by recent guests! The breakfast was awesome with some of the best scrambled eggs I've ever had. The staff was very friendly and helpful. The room was much larger than the average European hotel room. And I loved having my choice of bikes to ride every morning. The location couldn't have been better, right on the lake, close to the train station and many great restaurants. The breakfast was wonderful and included made to order fried eggs! The room had a small kitchenette area, balcony overlooking the lake and the most storage space I've ever seen in a hotel. The only complaint is that the bed was a little hard. Our room was nice size, very comfortable. The staff were very friendly and nice. We would stay there again, good location. Loved the breakfast the next day. Best "continental" breakfast I've ever had. Really nice cold cuts, breads, yogurt, all of it was just wonderful. view, clean , friendly, location to boat and town. Great room and perfect breakfast. Also the historic city center and Grande Plazza is very close. I was a beautyful stay. Free upgrade,fabulous view,great service.We had time to enjoy both the pool and rooftop terrace. Great room facilities,friendly and helpful staff,good choice at breakfast. Perfectly situated with a wonderful lakeview. Loevely outside breakfast area close to the pool in a very relaxing atmosphere. The room with the balcony and the lake view was amazing!!! H4 Hotel Arcadia Locarno This rating is a reflection of how the property compares to the industry standard when it comes to price, facilities and services available. It's based on a self-evaluation by the property. Use this rating to help choose your stay! 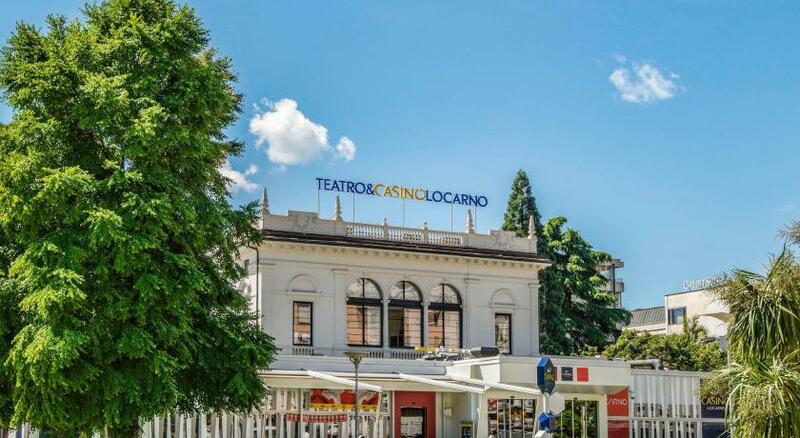 One of our top picks in Locarno.Just a 5-minute walk from the Piazza Grande and the center of Locarno, H4 Hotel Arcadia Locarno is right on the promenade along Lake Maggiore. It offers a garden with an outdoor pool, free bicycle hire, and a restaurant. The air-conditioned rooms all have a balcony, cable TV and a bathroom with hairdryer. Children receive a small surprise on arrival. The restaurant features a terrace overlooking the lake. Guests can enjoy Swiss and international cuisine, a large breakfast buffet, a changing menu every day, a selection of snacks, and daily specials in summer. 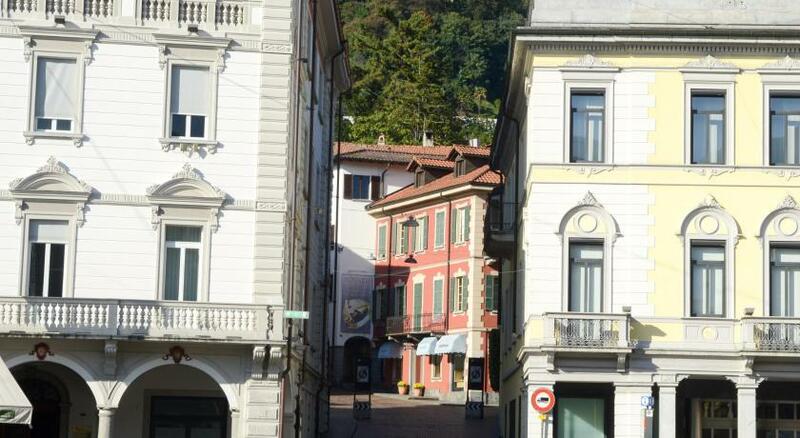 Locarno Train Station is 1,650 feet from H4 Hotel Arcadia Locarno. The A2 motorway is 9.3 mi away. 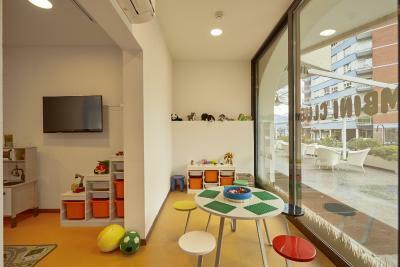 When would you like to stay at H4 Hotel Arcadia Locarno? Spacious, air-conditioned room with a balcony, cable TV, and a bathroom. Please note that the room rate is based on 2 guests. Maximum occupancy is 3 guests (see Extra Bed Policy). Private parking is available on site (reservation is not possible) and costs CHF 19 per day. Large, air-conditioned suite with a balcony, a bedroom, a living room with cable TV and a bathroom. Please inform the hotel about the exact number of people (adults and children) staying. This can be noted in the Special Requests Box during booking or by contacting the property. This spacious apartment has 2 separate rooms and comes with a balcony, cable TV, air conditioning, and a bathroom. This spacious unit comes with 2 separate rooms, air conditioning, a balcony, cable TV and bathroom. House Rules H4 Hotel Arcadia Locarno takes special requests – add in the next step! H4 Hotel Arcadia Locarno accepts these cards and reserves the right to temporarily hold an amount prior to arrival. When booking an apartment, please inform the hotel about the exact number of people (adults and children) staying. Also, please provide the age of each child. This can be noted in the Special Requests Box during booking or by contacting the property. Restaurant staff could have been friendly. It felt like we were completely ignored. Excellent service. Room was ready before we arrived. Extra bed was made. Kids loved their little gifts! I didnt like the parking area for my car there was no parking. I can’t even think of anything... everything was perfect!!! THIS WAS OUR 4TH VISIT TO THE H4 HOTEL ALL THE WAY FROM SOUTH AFRICA AND WE ALWAYS HAVE SUCH A GREAT TIME. WHEN YOU WANT TO START THE DAY WITH A LAVISH BREAKFAST YOU HAVE TO BE AT THE H4 HOTEL. THE SERVICE IS EXCELLENT. I was sad, that it was not possible to swim in the lake- the access was dangerous. The room was spacious, a bed was plush, we liked our balcony. Very kind and professional staff . Especially Nadia on the reception. Tasty breakfast ! Clean and comfortable room . Make sure to get the one facing the lake . Furniture a bit old in the apartment, but nothing to complain. Tasty breakfast. Staff very friendly and helpful. Good for families. Very limited space to put things in the bathroom. Huge room, more an apartment than a hotel room, but it was an upgrade from the room we had booked.